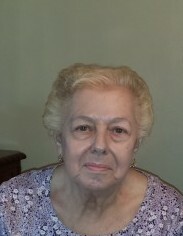 On Sunday, March 31, 2019, Concetta Rossi Warner., age 87, of Crafton, formerly of Elliott. Beloved mother of Beverly (Dave) Lee and Scott (Debbie), Gerald (Debbie) and the late Conrad (surviving wife Beth) Beglinger. Also 10 grandchildren, 7 great-grandchildren and 3 great-great-grandchildren. Sister of Gloria Meehan, Angeline McNany and the late Jane Lohr and Camillo Rossi. Also numerous nieces and nephews. Friends received at the Hershberger-Stover Inc. Funeral Home, 170 Noble Avenue, Crafton, on Tuesday 6-8 PM and Wednesday 2-4 and 6-8 PM. Mass of Christian Burial in St Philip Roman Catholic Church, Crafton on Thursday at 10 AM. In lieu of flowers, memorials may be made to Alzheimer's Assn., 1100 Liberty Ave., Suite E 201, Pgh., PA 15222. The family wishes to give special thanks to the staff of Unit 4A at Scott Regional Kane Hospital for their loving care.